The ship hasn’t completely sailed on the Warriors and Patrick McCaw reuniting. The guard remains in talks with the Warriors, and a number of other teams, according to Shams Charania of The Athletic. 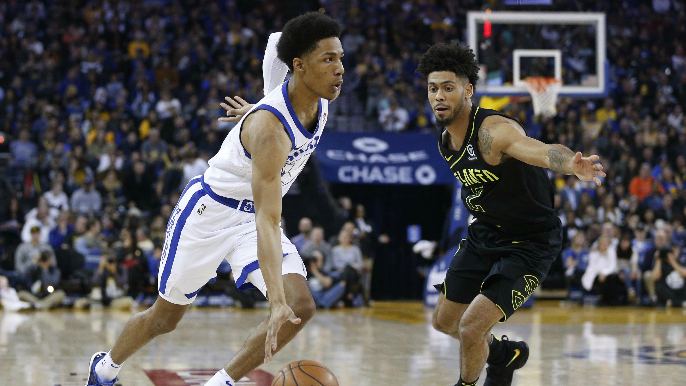 McCaw, 23, was expected to be back with the Warriors this season, but didn’t show up for training camp after rejecting a $1.7 million qualifying offer from the team this summer. McCaw remains a restricted free agent nearly a month into the season, with Golden State still able to match any offer extended to him by another team. Potentially complicating matters is the emergence of Alfonso McKinnie, a 26-year-old wing who came out of nowhere to claim what was supposed to be McCaw’s roster spot. McKinnie has been a revelation so far this season, and has been much better than McCaw was last year. Through 11 games, McKinnie is averaging 6.8 points and 4.1 rebounds, while going 12-of-20 from beyond the arc. Golden State still has a spot remaining on their active roster that McCaw could fill if interested.